These must-haves bring bursts of personality. Need some colorful products to give your living space a fresh dose of zhuzh? Look no further than the MoMA Design Store’s just-released spring/summer catalog, which is injected with refreshing bursts of color and personality. The vibrant new offerings run the gamut from psychedelic dishes to glimmering acrylic side tables. 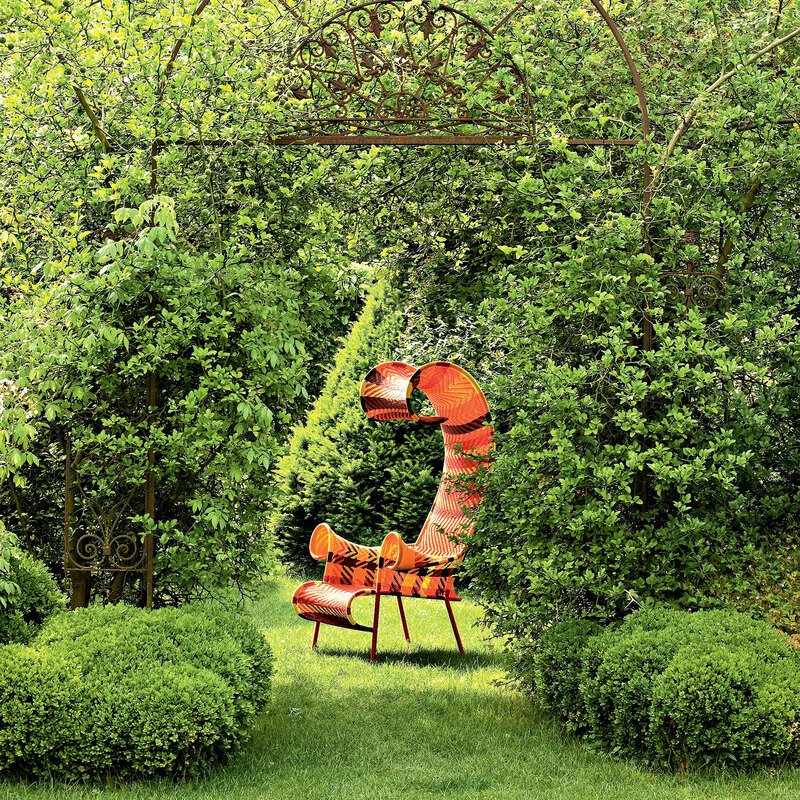 Below are the furnishings, luminaires, and accessories that caught this editor’s eye. Handmade at workshops in Dakar, Senegal, the Shadowy Chair embodies the region’s creativity, innovative use of materials, and weaving–its vibrant polyethylene threads are normally used for finishing nets, and each pattern is one-of-a-kind. Ever considered what “Burning Man in a bowl” might look like? 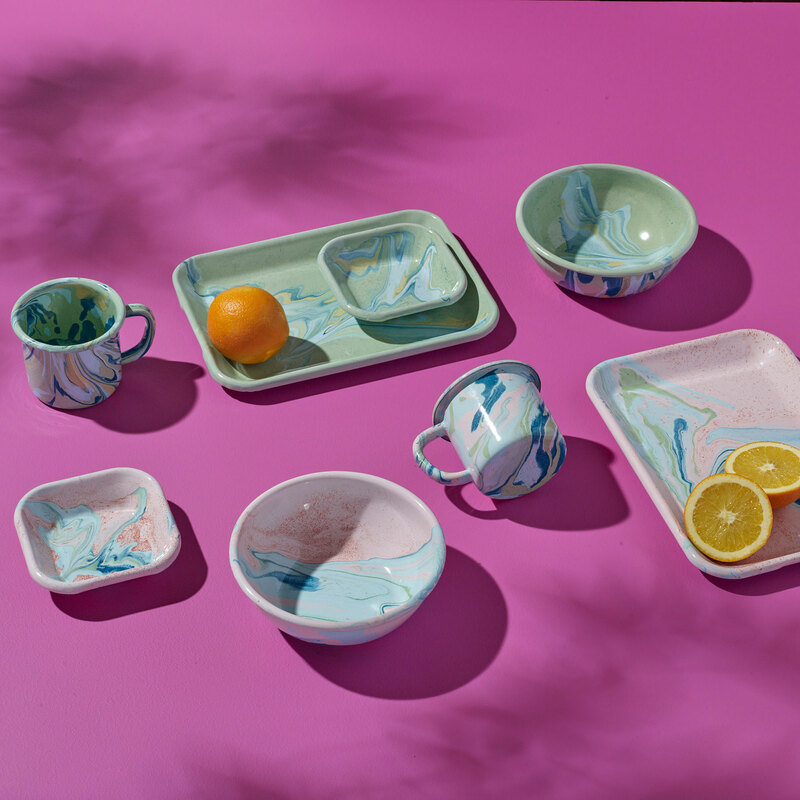 Each piece in this tabletop collection, which encompasses mugs, bowls, and baking dishes, is produced in Turkey using traditional 15th-century marbling techniques. Hand-dipping and swirling help achieve psychedelic, sandy patterns that differ on every dish. What would happen if late Brazilian architect Oscar Niemeyer and artist Olafur Eliasson exchanged ideas? 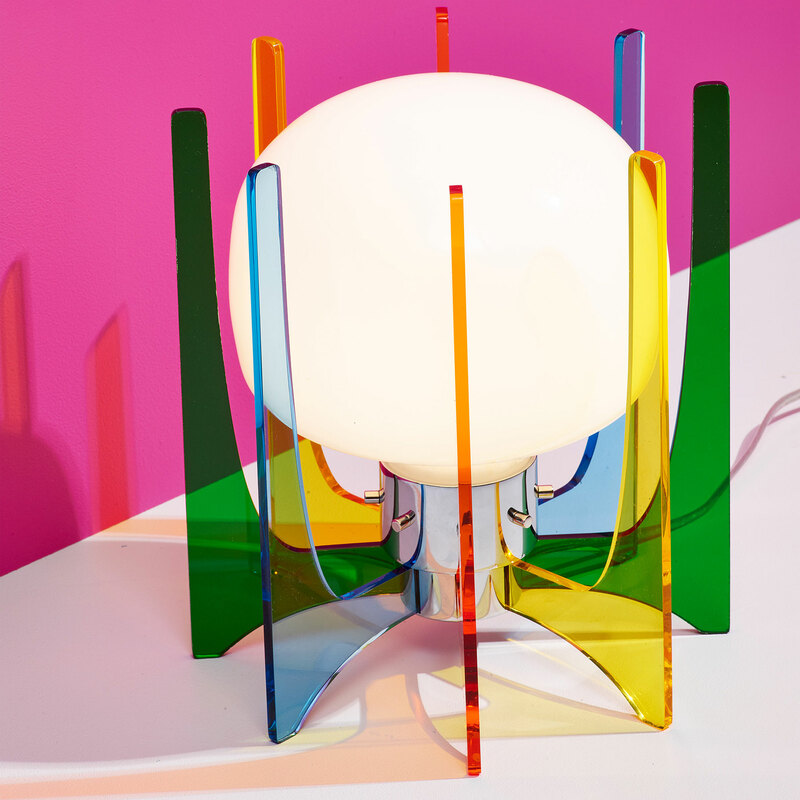 Perhaps this modernism-inflected table lamp, in which a Plexigrass frame evokes Niemeyer’s famed Cathedral of Brasilia while a mouth-blown glass globe recalls Eliasson’s light installations. 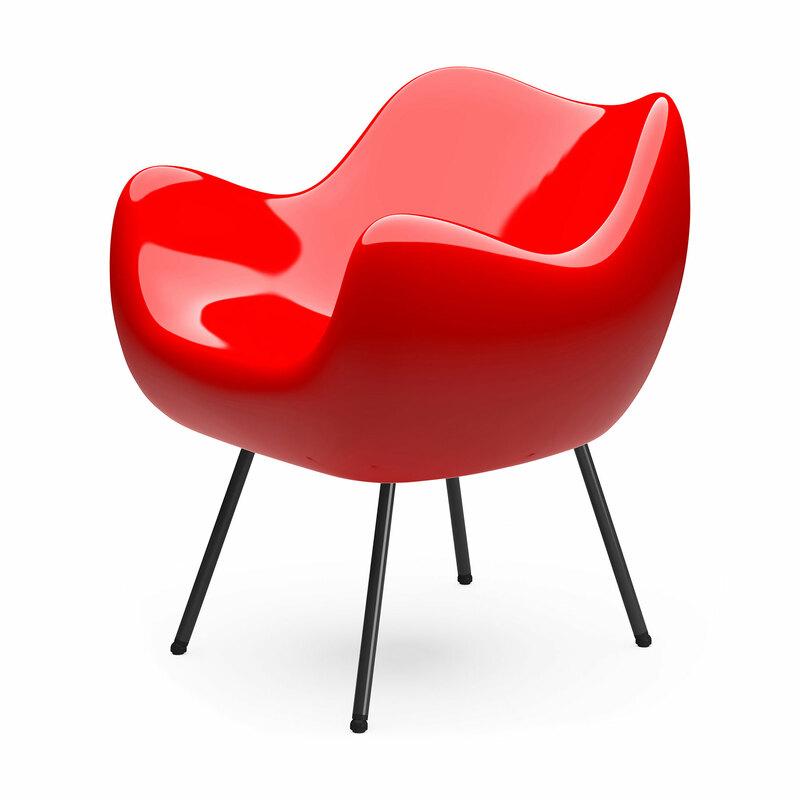 Here’s your chance to own a rare mid-century design relic from Eastern Europe! Handmade in Poland at a shipyard using boat production technologies, this polyester-glass laminate chair piqued Le Corbusier’s interest in the early 1960’s, but its production never materialized (until now, of course). This birchwood luminaire takes protean to the next level. 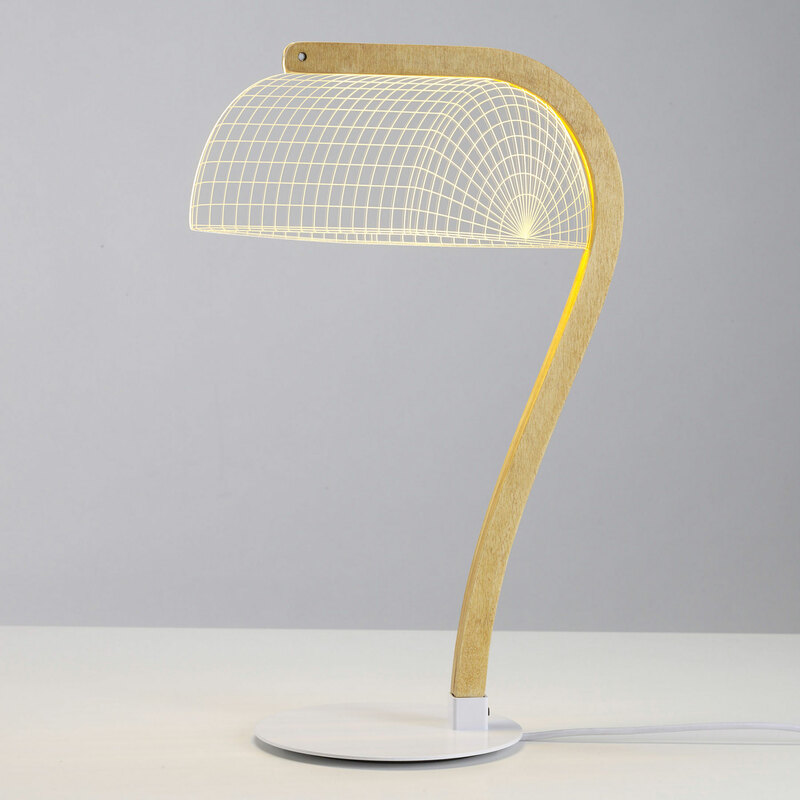 Composed of an acrylic sheet laser-engraved into a lampshade and covered in dozens of intricate incised lines, its 2D design appears 3D when illuminated. 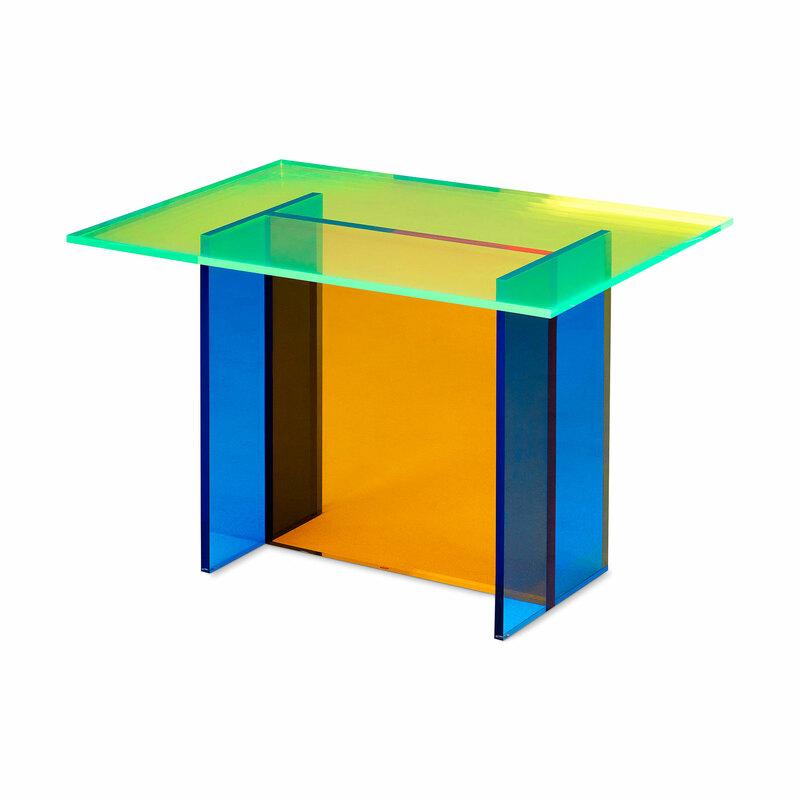 Evoking planes arranged in an H-shape, this acrylic side table’s three complementary colors create a subtly changing interplay of hue and light particularly striking in daylight-exposed rooms.